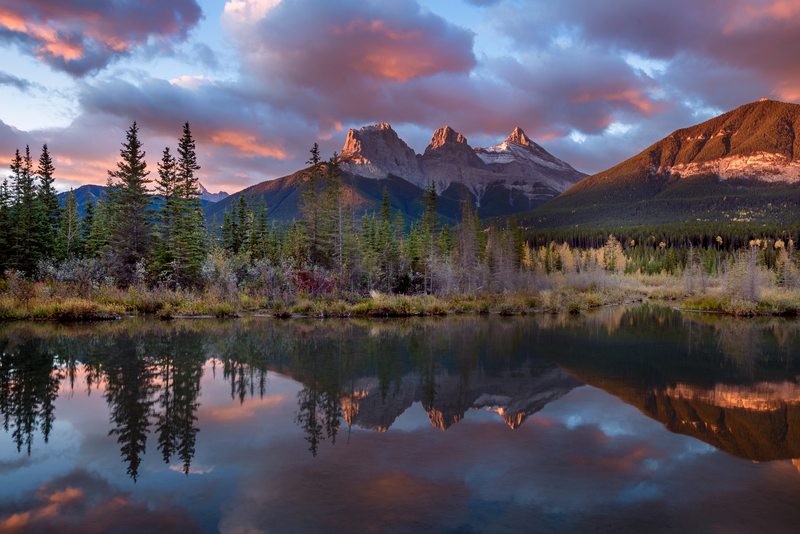 Prepare to fall for fall in the Canadian Rockies Photography Workshop – Autumn Edition! The changing of the seasons from summer to autumn is brief but dramatic. The falling temperatures create intense colours, and low clouds that hug the mountain tops. We will keep a close eye on the aurora forecast during the workshop. The arrival of the autumnal equinox on September 22, 2018 signals the start of aurora-watching season. 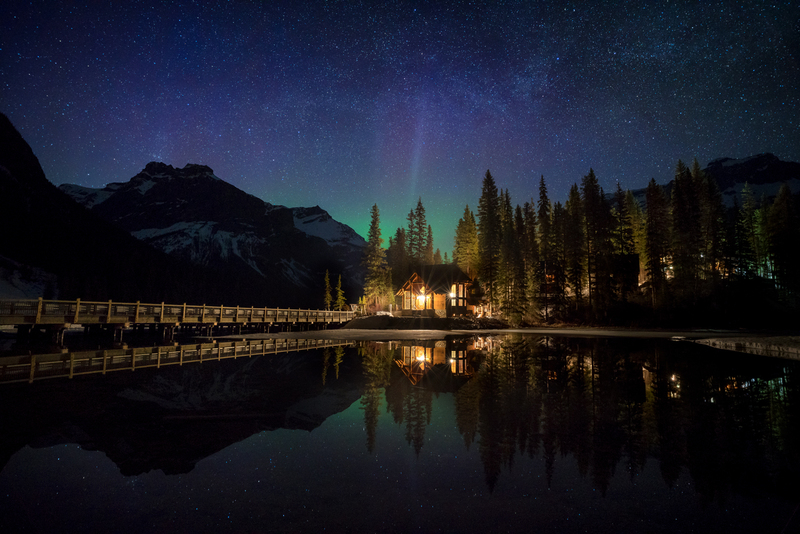 From the third week in September through the end of October, the chances of seeing the glow of the mysterious northern lights will be reaching a peak, as the aurora is most visible during the fall and spring equinox periods due to strong geomatic storms. Don’t let the limitations of your camera prevent you from learning like a pro. Sony is supporting this workshop with a variety of cameras and lenses for you to try. This is a unique opportunity to try a full frame camera if you don’t own one already, or test the performance of your current camera setup against Sony’s lineup. If you are not a Sony shooter, you can use what you have or try Sony’s mirror-less cameras. Guests make their way to Canmore. We will meet for a gear check, and our first sunset shoot. Our journey starts in Canmore at the iconic ‘Three Sisters’, followed by an early morning shoot of the towering Ha Ling Peak. Of all of the places I have photographed in the Rockies, I have seen some of the most intense light and colours at the Three Sisters. In the evening we will explore the peaks and reflective pools in Kananaskis. This area is not part of the National Park, and subsequently has fewer visitors and more wildlife. It is a great place to see deer, grizzly bears, black bears, and moose. 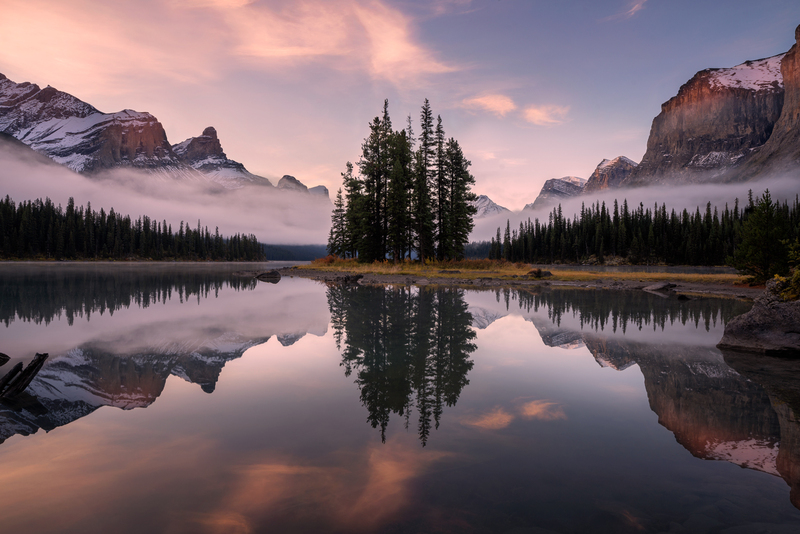 It is also one of only a few locations that catches good sunset light on the peaks. We begin day 3 with a Mt Rundle sunrise at Vermillion Lakes, followed by a mid-morning shoot at Lake Minnewanka. 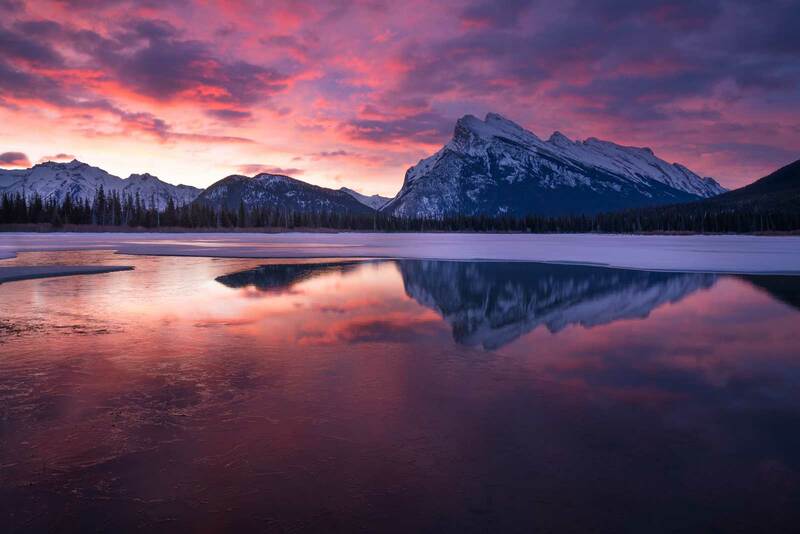 No matter how many pictures you may have seen of Mt Rundle, you can’t help but stand in awe of this majestic peak! 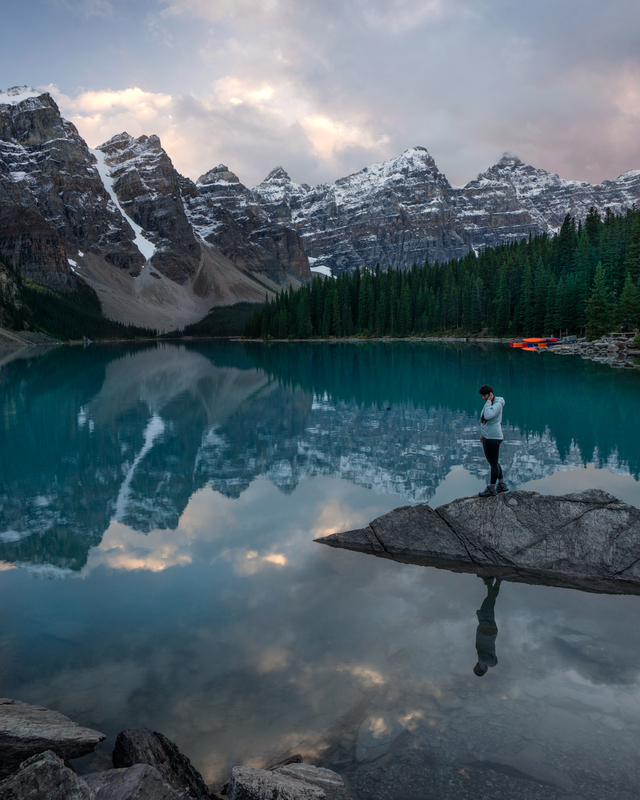 Our last shoot of the day is Moraine Lake for sunset. This lake is a Canadian icon (once featured on the $20 bill), and its not hard to understand why. The lake is a blue-green, glacially fed beauty, situated in the Valley of the Ten Peaks. It is easily one of the most stunning lakes in North America. 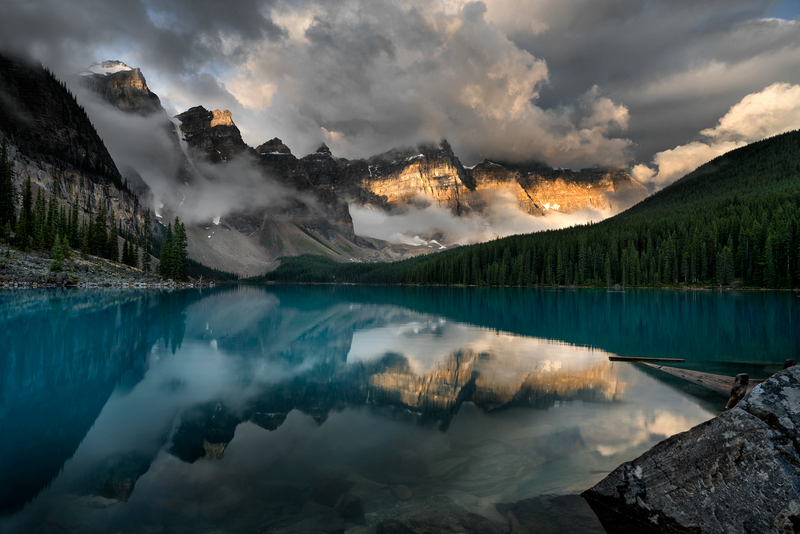 We will return to Moraine Lake for sunrise, as the conditions are often more favourable in the morning. Sunrise is the best time of day for calm water, reflections, and, if we are really lucky, maybe some low cloud floating through the valley. After sunrise we visit Herbert Lake for a mid-morning shoot; September is really the best time to see moody low-clouds hugging the mountain tops. 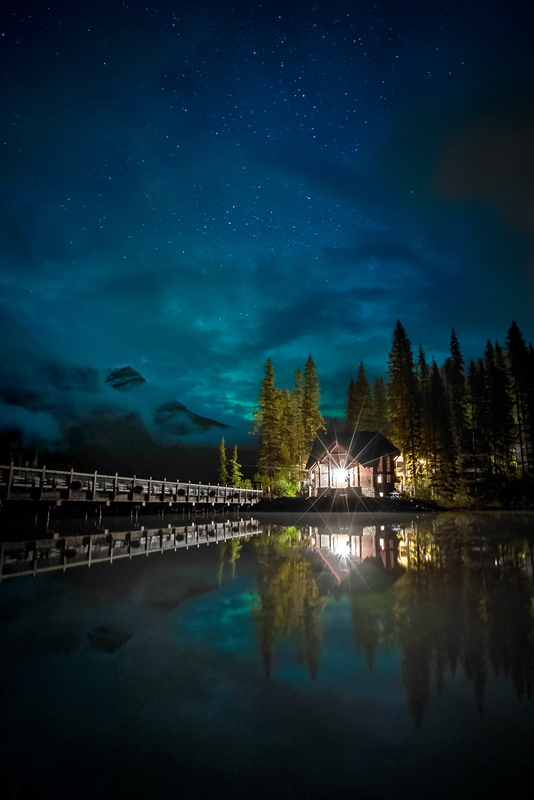 To round out the day our last stop is Emerald Lake for sunset and blue hour. If we are lucky enough to have an aurora in the forecast, this view is north-facing for the best chance of capturing the dancing lights! 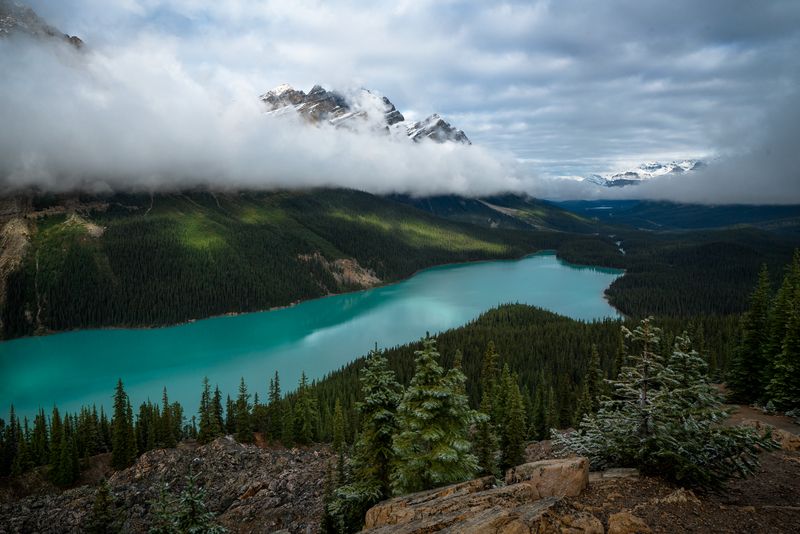 There are many beautiful lakes and peaks to explore along the Icefields parkway between Lake Louise and Jasper. Our day will start with a sunrise shoot of Bow Lake, and a mid-morning shoot of Peyto Lake, as we make our way North to Jasper. We then arrive at Tangle Peak for sunset, and hunt for reflections as the evening sun touches the mountain. The fall colours in Jasper are truly stunning; poplar trees and larches turn bright yellow, and the small shrubs turn fiery orange and red. Today, we will spend the day exploring the beauty of Jasper National Park. Jasper also offers many locations for shooting the aurora. The itinerary for the evening is flexible with an eye on the aurora forecast. We start our journey back to Lake Louise today, with a sunrise shoot at Sunwapta falls. We will have time to stop for wildlife along the way, and make it to Lake Louise in time for sunset at Castle Mountain. Before we say goodbye to the Rockies, we have one last sunrise shoot. This can be an opportunity to go back and shoot a favourite spot, or a place that we just didn’t seem to get the conditions we were hoping for. A *sturdy* tripod with a ball head. I can’t emphasize enough how important it is to have a solid tripod. Many people spend thousands of dollars on cameras and lenses, and mount their gear on a flimsy $60 tripod. If you invested money in a camera, don’t risk damaging it by putting it on a tripod that won’t stand up to wind and weather! 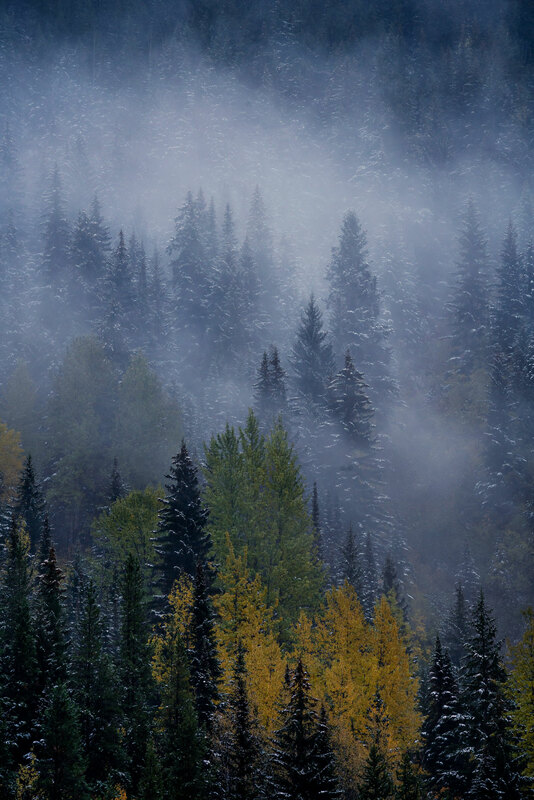 Warm clothes that you can layer – the temperature in September is really comfortable, but it can be cool overnight. There will be some down-time between shoots to process the images from our trip. Make sure you bring a laptop that has Photoshop, Adobe Bridge, and Lightroom installed. I also like Nik (a free software from Google). Trying to install programs while on the trip may prove very difficult with limited internet services. Come prepared to get the most out of our post-processing sessions! Don’t hesitate to use the contact form on the top of the home page if you have any questions, or to ask us about the payment plan options I have available. 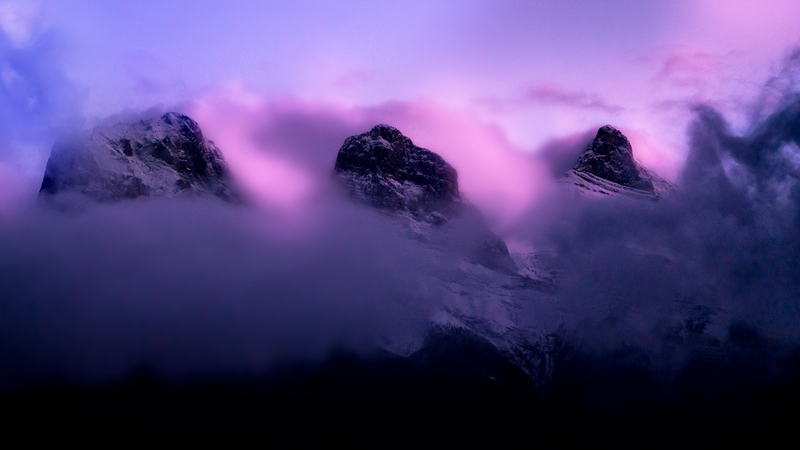 I look forward to working with you on the Canadian Rockies Photography Workshop!